Ozone exposure can lead to discomfort and adverse health effects in airplane passengers and crew. Removing it from the cabin air makes air travel more comfortable. 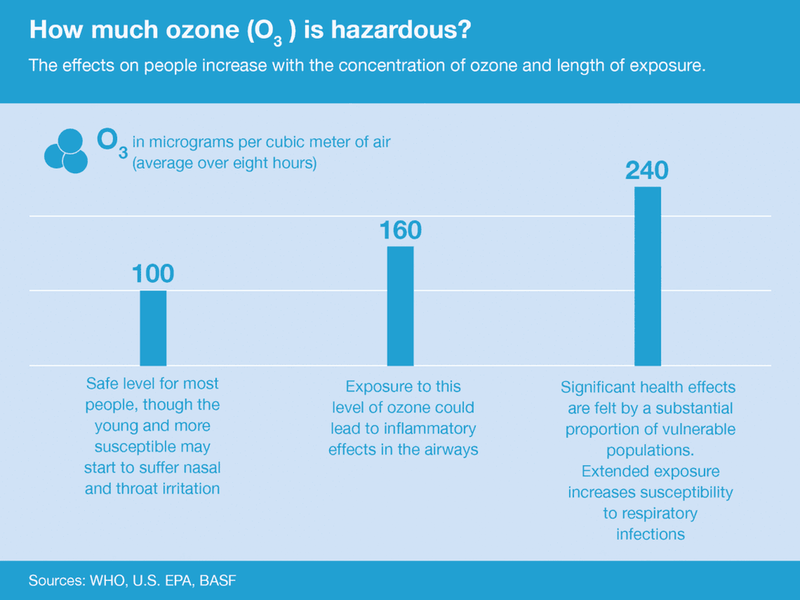 You cannot see ozone, but even small quantities can be hazardous to your health. Atmospheric ozone is caused by the photochemical conversion of oxygen by solar ultraviolet radiation. Ozone levels vary with season, altitude, latitude and weather systems. On the ground, ozone concentrations as low as 120 micrograms per cubic meter can be the cause of upper respiratory symptoms, dry eyes and headaches. At altitudes where commercial airplanes regularly cruise, ozone reaches significantly higher concentrations. When this enters the aircraft through air conditioning ducts, passengers and crew can feel quite uncomfortable. Deoxo protects flight passengers by converting harmful ozone to oxygen. 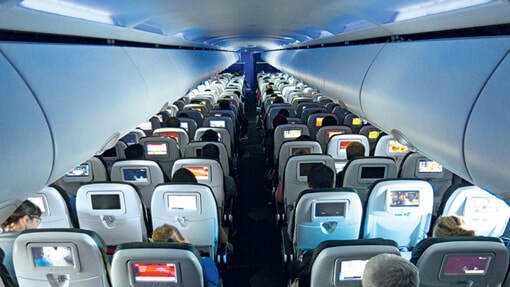 See other detailed information about Deoxo and other products for Cabin Interiors from BASF Aerospace Materials.